… The whole operation of the association is based on a safety device stemming from our 20 years of experience that the professionals have built for the proper functioning of the activities and the safety of the children. 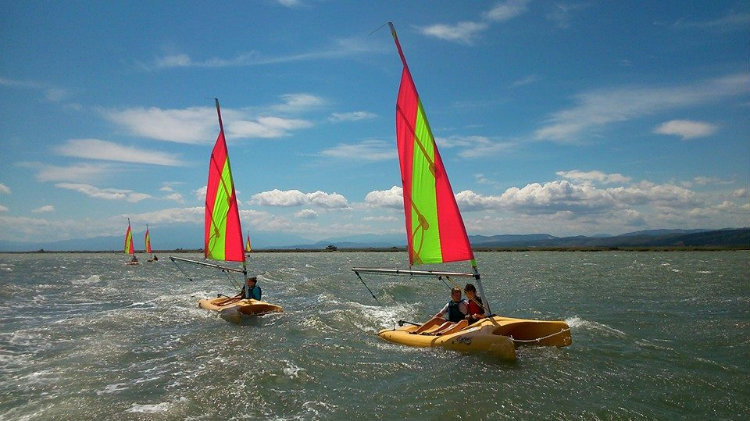 The diversity of sailing supports, on water or on land, allows children to find an activity that will allow them to evolve. 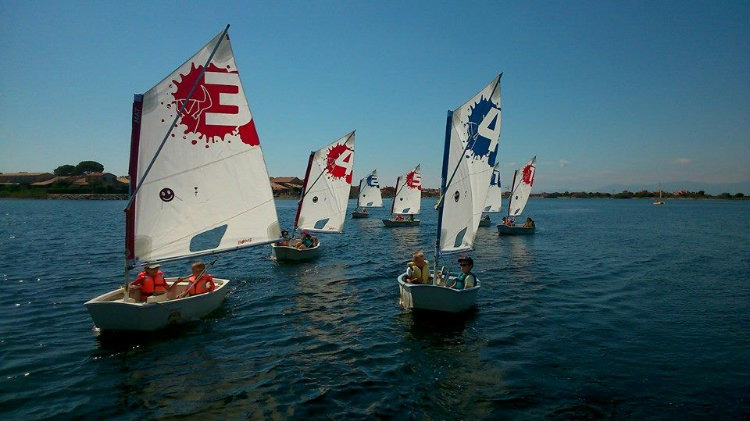 We offer sailing activities in which children combine “learning and enjoyment”. 7:30 to introduce to the children the joys of the practice of the sand yachting. The courses are supervised by a state-certified instructor. So they can start validating their first driver licence (federal booklet). 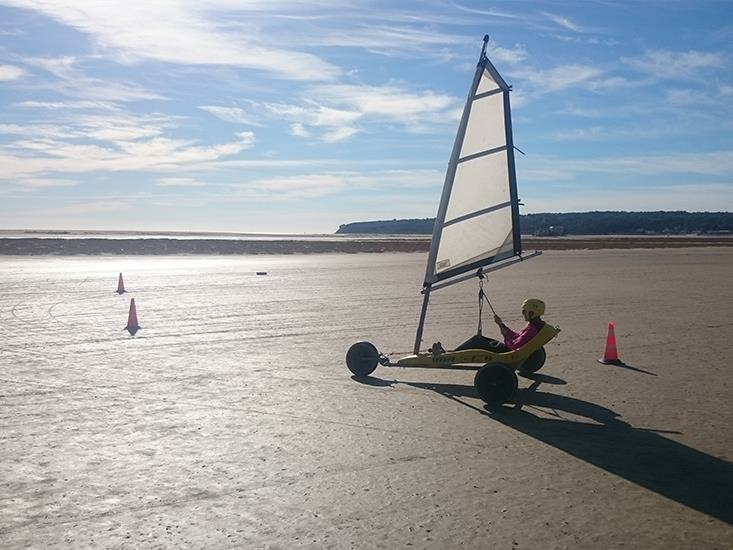 For the under-13, it is obligatory to be supervised by a monitor to be able to ride in a sand yachting. Find its balance and master its sail, for the first sensations of gliding safely with the fleet of rigging (from 1m ² to 3m ²) adapted to the template of each. Practical child to discover the sensations of gliding. 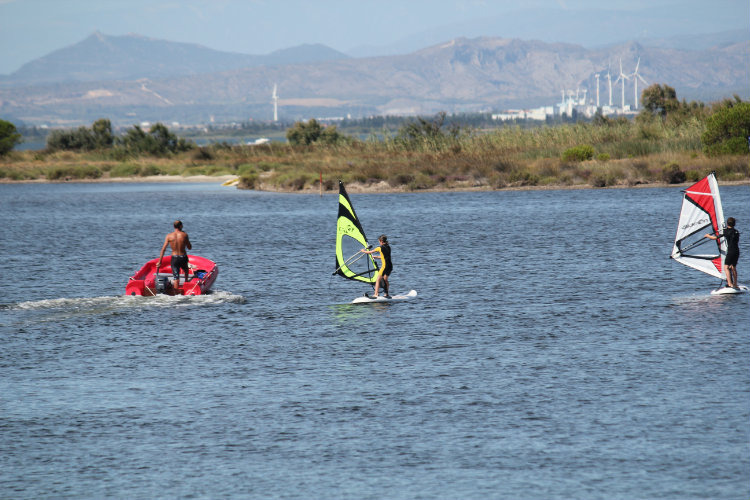 Ideal Course for children who have never or little practiced (less than 15 hours) windsurfing. To learn by having fun, to 2 or 3 on the mini-cata come to discover the first sensations of speed in complete safety. From Monday to Friday young people are supervised by a instructor. The rates include the rental of sailing equipment and safety. A good way to discover the sail and its environment. Only obligation, do not be afraid to put your head under water and know how to move with a flotation aid (life jacket) for 25 meters. At two or three per boat, the children will evolve under the supervision of a instructor for the duration of their internship. Ideal Course for young children.